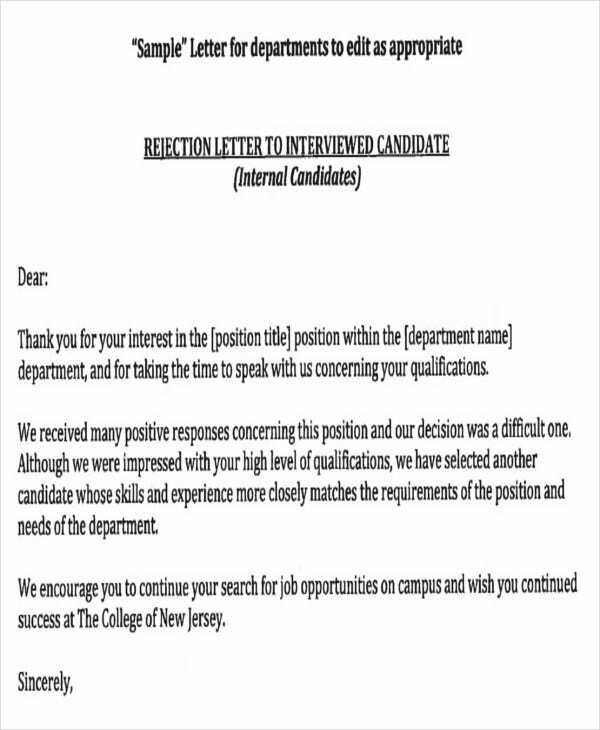 Job applicants who are not selected for an interview deserve the courtesy of being informed why they weren’t accepted with a rejection letter. 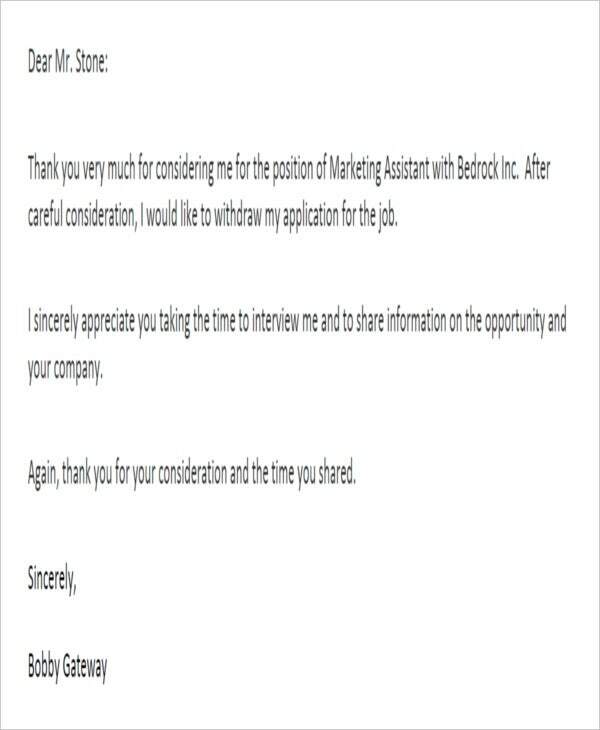 As a job applicant, it may already be heartbreaking to receive a rejection letter from a company that you hoped you could work for, but it’s better than hearing nothing at all from a prospective employer. 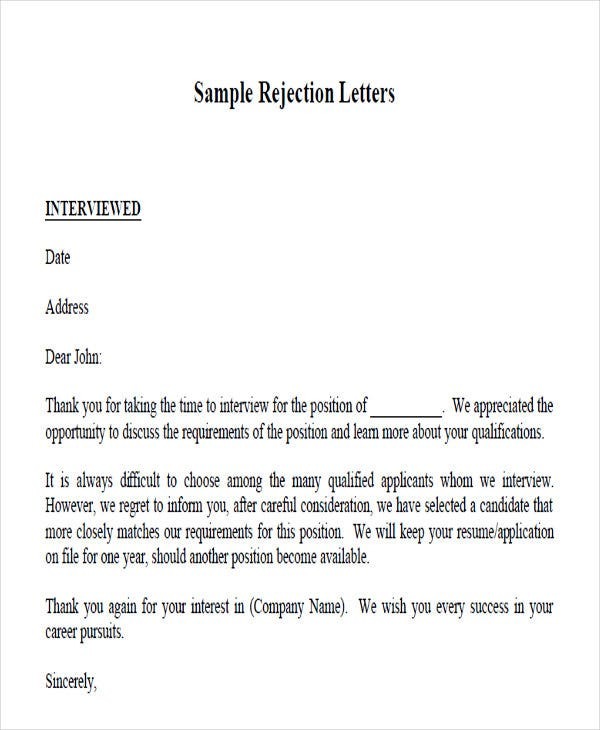 A rejection letter is a document that informs the candidate that they were not selected for the position they applied for. As an employer, if you believe that the applicant would qualify for other positions in your company and that they also appeared to fit your work environment, you can also encourage them to apply again in the future. 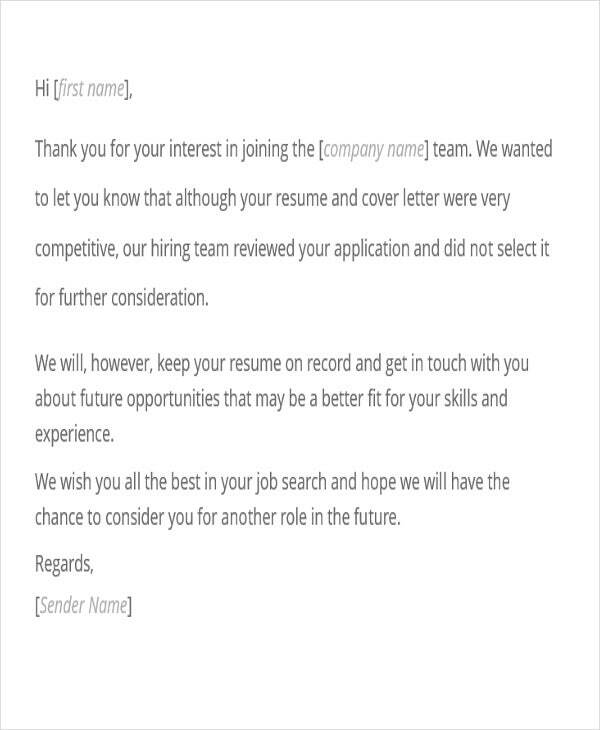 Here on Template.net, we offer more than rejection letters, but we also offer Application Letter samples for which you could use. 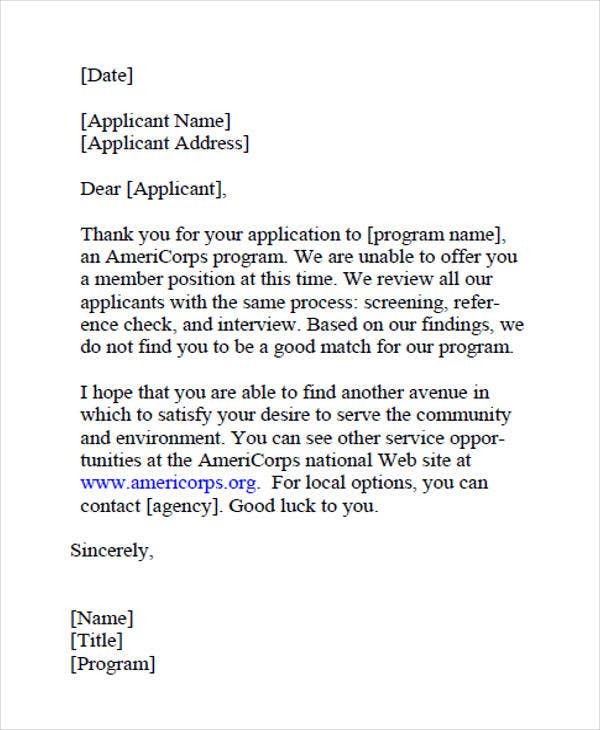 For every failed Job Application Letter and Academic Application Letter, there is a corresponding rejection letter. This is painful to receive, but much more so when you’re the one handling it. Suffice to say, this is a courteous way of informing a potential talent that he or she had been considered, but eventually, a better prospect was chosen over him or her. 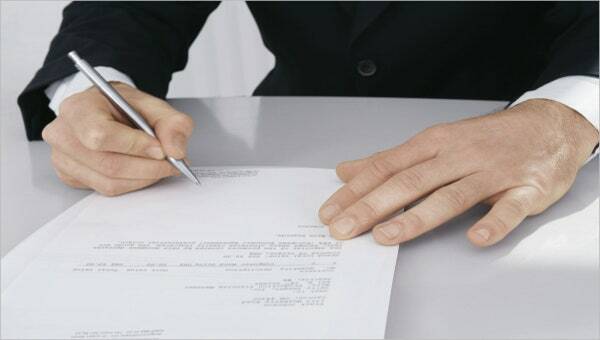 Express sincerity by writing a personalized letter. 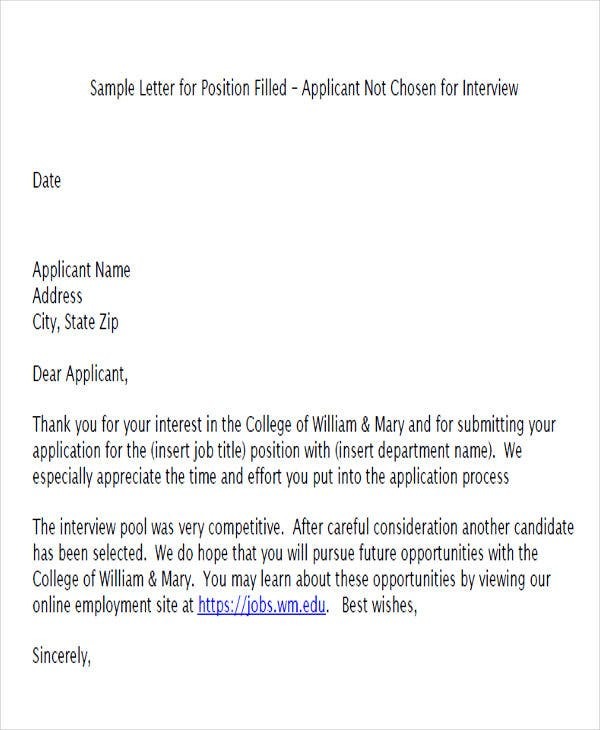 Personalize your rejection letters with the applicant’s name, the position applied, and possibly a reminder about the interview date and time. Keep the letter short and precise. 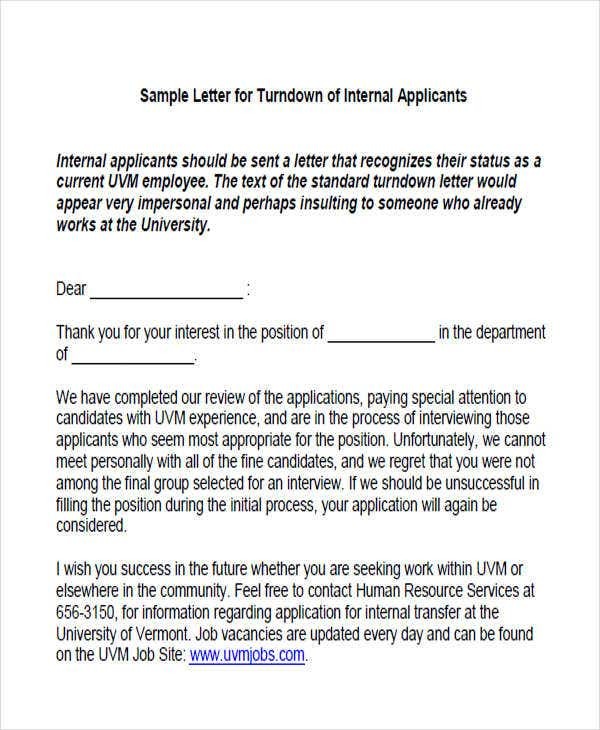 Get straight to the point in your rejection letters. But if you have called in advance, then the applicant already knows what to expect in the rejection letter. Maintain professionalism but be sensitive. 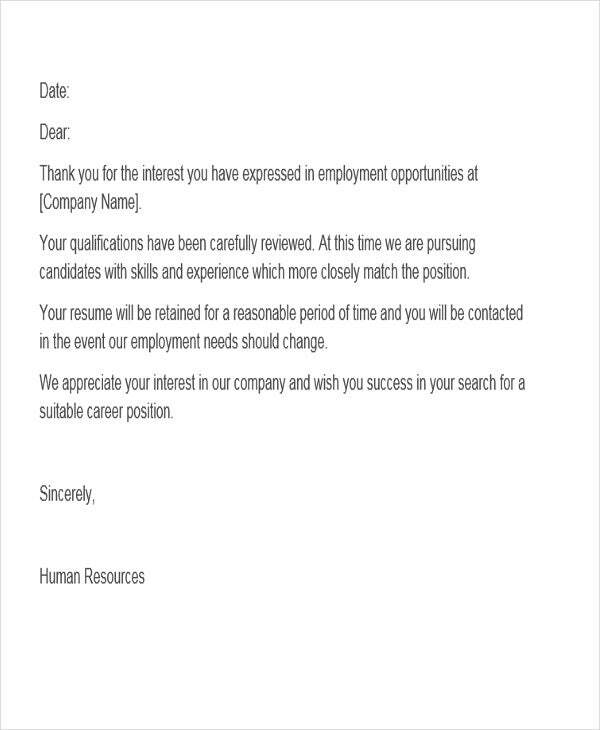 Construct your applicant rejection letter in business format. And since you are considered to have broken a person’s hopes and dreams, don’t forget to be respectful and considerate in your letter. Don’t give false hopes. 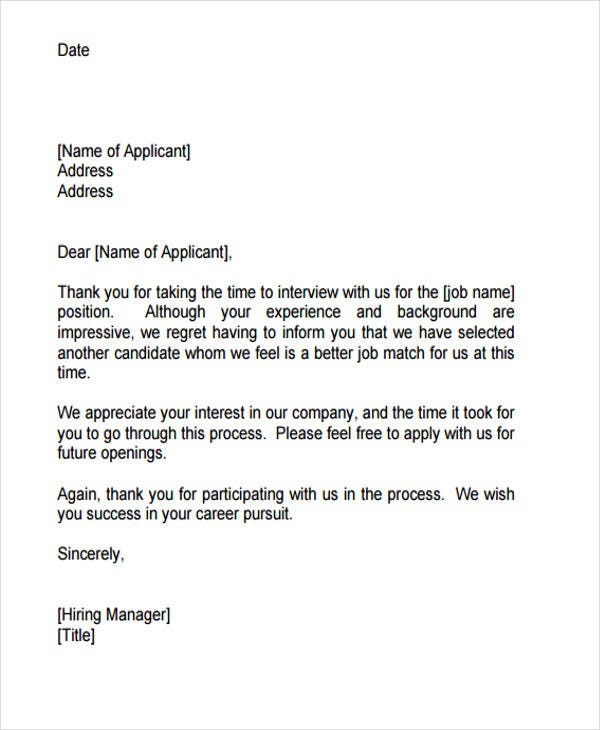 Never say anything in the rejection letter that you don’t mean such as suggesting that the applicant apply for openings in the future even if you know the applicant will not fit in your company. And, above all, don’t forget to encourage the applicant (especially this generation of applicants). 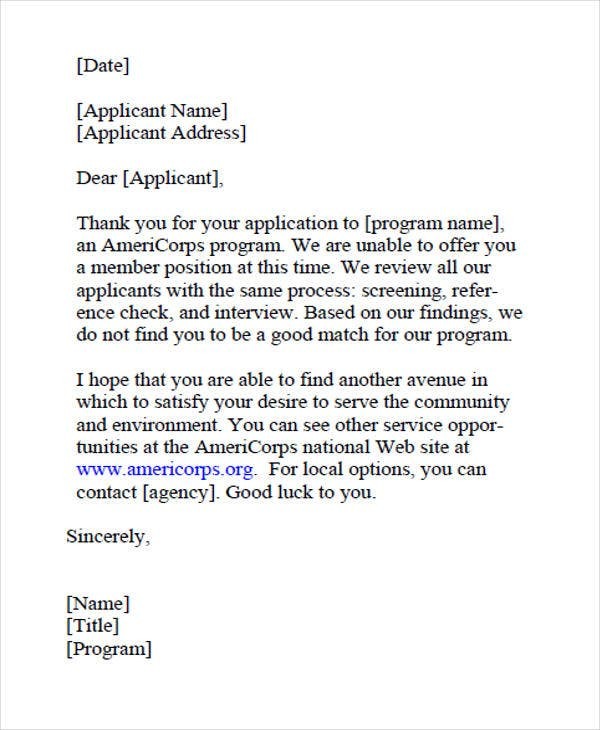 Remember, a rejection letter is your final opportunity to build a relationship with the applicant that will cause them to think favorably about your company. Your reputation as an employer is affected by this applicant and the people affected by this their opinions and treatment at your hands. Always remember that this is important for your reputation as an employer and in attracting top talent. These templates were selected from among the best ones on the web and were written by knowledgeable professionals. You may be able to download these templates easily and for free, and you can choose to save it in either Microsoft Word or PDF formats. These templates are fully editable as long as you have the needed software such as Microsoft Office and a paid version of Adobe Acrobat. For even more templates, go ahead and check out our collection of Employment Application Letters and Scholarship Application Lettets.